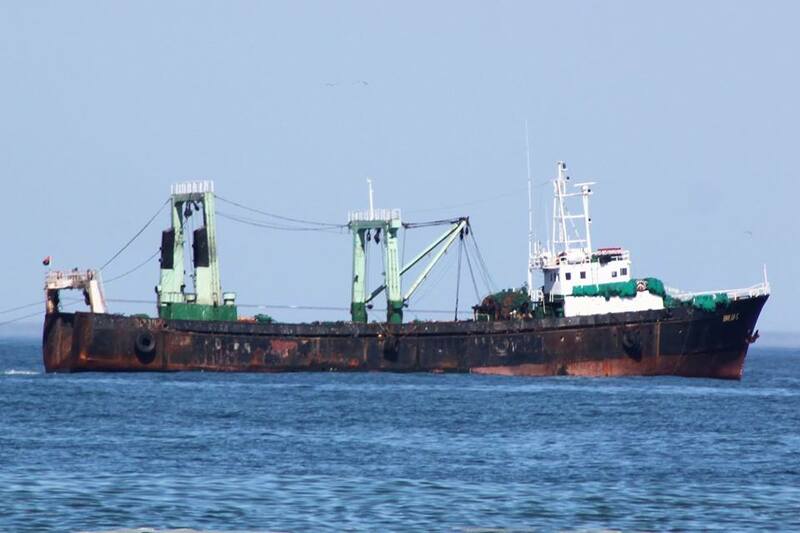 An Angolan flagged fishing vessel was caught red handed by tourists near the Kunene River mouth while it was trawling just behind the wave line and photographic evidence of the illicit activities by the trawler from one of Namibia’s closest allies shocked the Minister of Fisheries and Marine Resources. The tourists were driving through the desolate Skeleton Coast Park when they saw the fishing vessel not more than 200 metres from the beach. Angolan fishing vessels are spotted regularly in the area south of the Kunene River mouth on their way north after illegally entering Namibian territorial waters. The person who photographed the vessel while it was stealing Namibian fish said the trawler was moving slowly in a northerly direction and that it had cables trailing behind it as if it was dragging a net. The same vessel was potted the next few days hovering just north of the river mouth an area that is rarely visited by people traveling in four wheel drive vehicles. Mr. Bernard Esau, the Minister of fisheries and Marine Resources reacted with shock and said the actions of the Angolan fishing vessel are tantamount to inviting war. 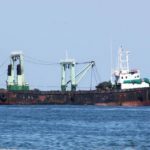 Mr. Esau said he is shocked that visitors to the desolate area were the only people who saw and recorded the criminal activities of the Angolan vessel. Mr. Esau said in such cases people should notify the Namibian Police immediately in order for officials from the ministry and law enforcement agencies can follow up and investigate immediately. Confederation of Namibian Fishing Associations Chairman, Mr. Matti Amukwa, said the illicit actions by the Angolan fishermen are endangering the Namibian fish resource and industry. Amukwa added that members of the confederation will do anything in their power to assist the Ministry of Fisheries and Marine Resources and law enforcement agencies to combat illegal fishing in Namibia’s territorial waters.